We have already met Will on this blog. He was my great uncle and he led a varied and, no doubt, interesting life. 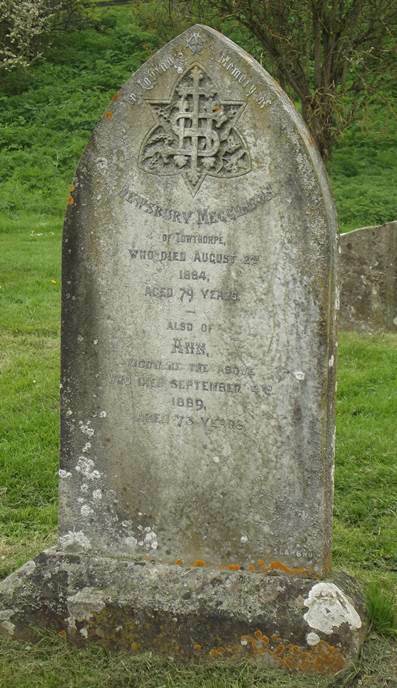 Not least amongst the matters of interest was the fact that he was born a couple of years before his parents married and he was registered with his mother’s surname of Kesby. Evidence suggests that Will was not always happy at home and at quite an early age he stowed away on a ship for Canada. 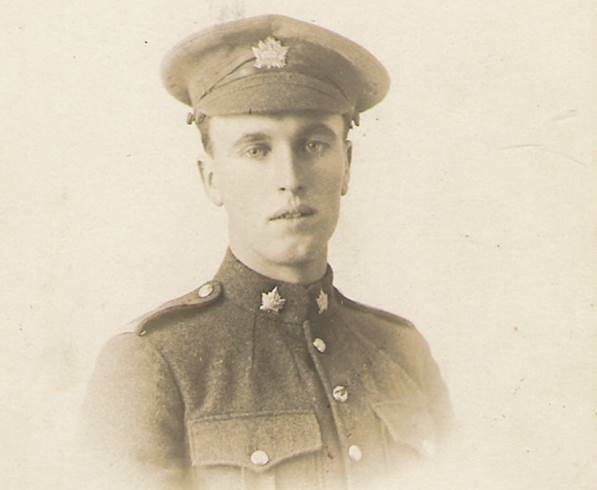 During World War One he returned to Europe as a Canadian Soldier. He was quite seriously injured and was evacuated to England in 1917. 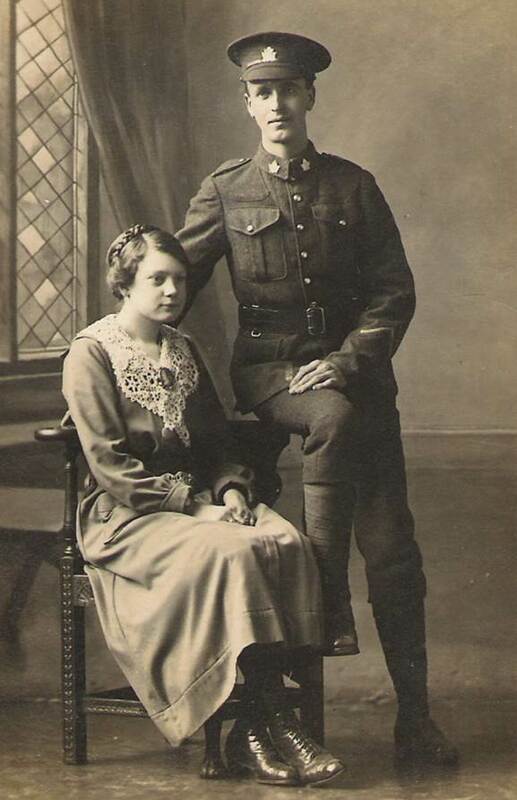 I do not know when or where he met his future wife, Flo Simmons, but here we see the two of them together with Will in his Canadian uniform. 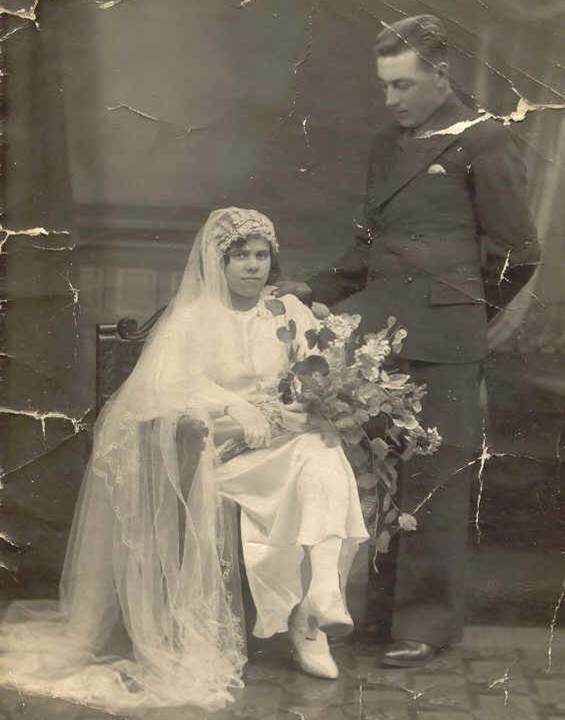 The couple married in 1919 and Will remained an Englishman ever after. As far as I know he became a Ware, formally, in 1929. Will died in 1959. I never knew him but I know my mum was fond of her Uncle Will. He lived and worked in the Margate area and I know mum used to visit him there. Let’s finish with any photo of Will in his Canadian army uniform. Gosh, these months come round fast. It seems no time at all since I wrote a blog about the Ravilious boat race print but a whole month has now elapsed. So what have I been looking at in May? It’s a scene called Ironbridge Interior and was painted in 1941. This picture has been considerably cropped to fit the square format of the calendar. I think it loses a little impact as a result. Ironbridge is not the little town in Shropshire that grew around Abraham Darby’s magnificent 1779 bridge over the River Severn. It was the Ravilious home near Shalford in Essex. 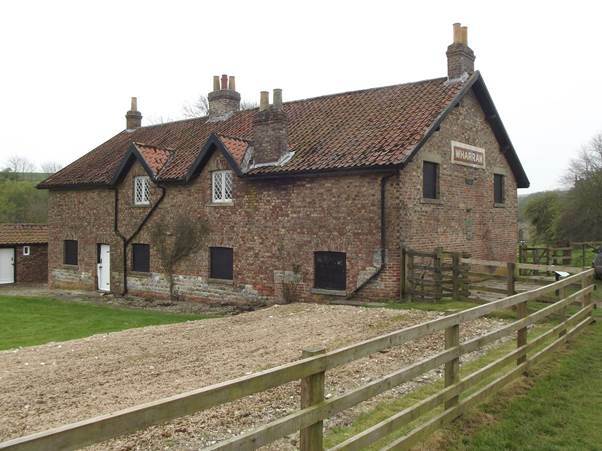 This farmhouse was rented for £70 per year in cash and £70 worth of paintings. For me, this is the Ravilious I love, albeit it is not a Sussex or chalk downland image. It is just simple and has all of Eric’s use of light and shade. The vase of flowers contains wild verge side herbage – cow parsley which most would call a weed and not a flower for picking. 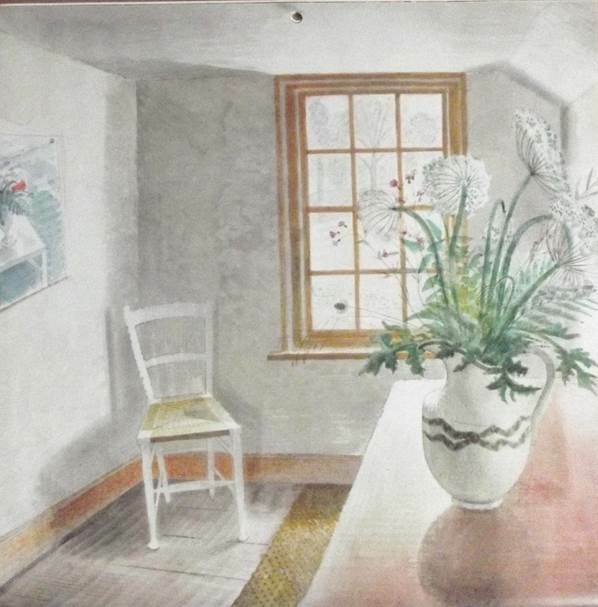 The chair is simple and on the left hand wall there is a Ravilious painting of a vase of flowers. The vase in the painting is Wedgwood, in the style the boat race image was to go on. This is a room where I could feel at home and able to live. I have very much enjoyed looking at this picture for a month. Many years ago my sister in law and family gave me a bit of a London Transport bus stop. 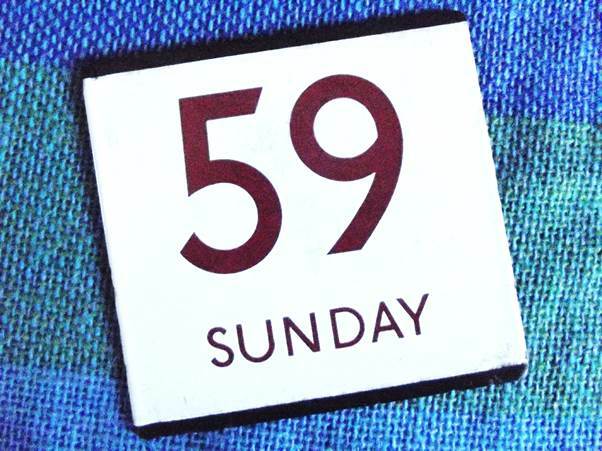 It is an enamelled square that tells would be travellers that this was the stop for route 59. Now I have to confess that I had no real idea about route 59 so when I thought about this item, I looked it up and Wikipedia told me that route 59 was introduced new in 1999. ‘That can’t be’, I thought. I’ve had this route indicator for much longer than that. But I always say that somebody will have done the research and it seemed to me that Ian Armstrong’s site at http://www.londonbuses.co.uk/ has everything I need. It’s an amazingly detailed site of London bus routes since 1950. It seems the entire route was from Victoria Embankment through Blackfriars, Elephant and Castle, Brixton, Croydon and Purley to the Chipstead Valley. But between Victoria and Blackfriars and also from Purley to Chipstead were Sunday only services. I’m going to guess that this bus stop marker came from the Victoria to Blackfriars stretch. The Sunday service was withdrawn in the mid 1980s. This route was closed in 1994, making the number available for a new route in 1999. When I was a student, back in the late 60s, I lived at Brockley in South East London. It was then that I bought my much loved Canon Demi camera off a destitute fellow student. I didn’t take many pictures for I couldn’t afford film or processing. Here’s one I did take. 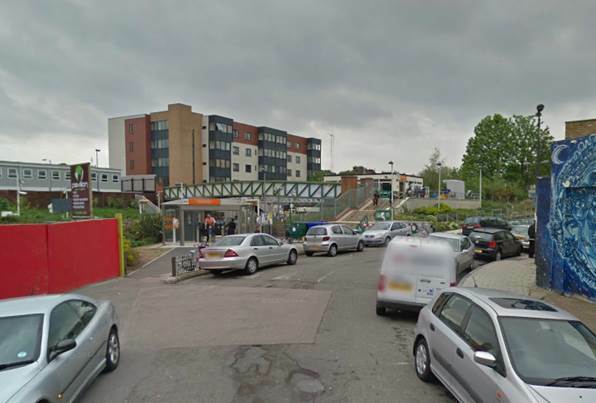 It shows Brockley Station. This was actually taken in early 1970, just before I left to start my life in the world of work. I’m not much good at identifying the cars now, but clearly they are no longer what people would call modern. I notice that both of the nearest cars have proper wing mirrors, mounted on the front of the car. The station building itself looks homely and friendly in a Southern Railway style. The station was on the original London to Brighton line, but main line trains didn’t stop there. 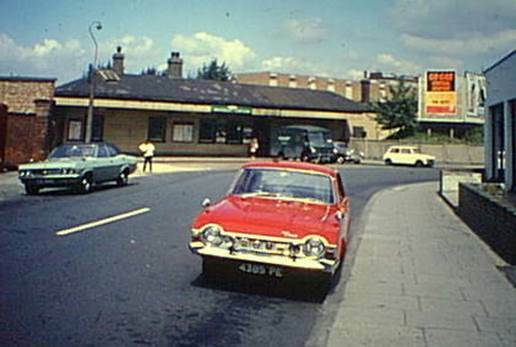 Brockley was very much a suburban station with just New Cross Gate between it and the terminus at London Bridge. Of course, these days you can do a now view without actually going there. This comes from Google’s street view. The friendly old building has been swept away and replaced with a bus shelter type entrance. In fact it is hard to find anything which has remained the same. The old building may have been life expired but I’m not sure the present one looks enticing for potential travellers. I’m not much of a lad, as a rule, for what I call ‘over the top’ religious buildings. It always seems to me that religious buildings out to reflect some kind of humility. So here’s one that, Whilst OTT in some ways, certainly also reflects humility. 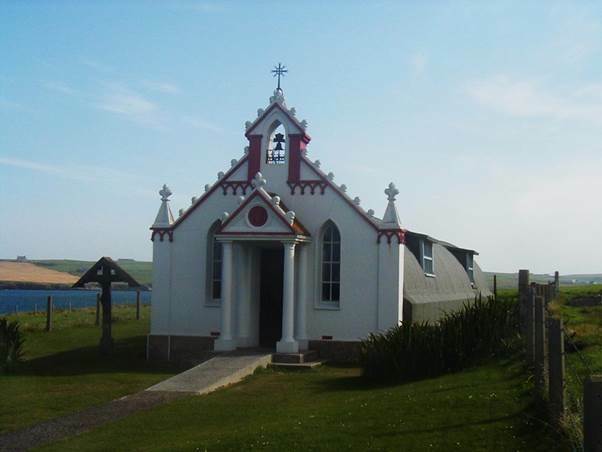 This chapel is on the island called Lamb Holm which is one of the Orkneys. It was constructed by Italian prisoners during World War II and is based around what looks like a Nissan hut. It’s easy to get to if you are on mainland Orkney for causeways were built to link islands and to prevent foreign shipping from slipping through. These causeways were built by the Italian prisoners – that’s why they were on Orkney. 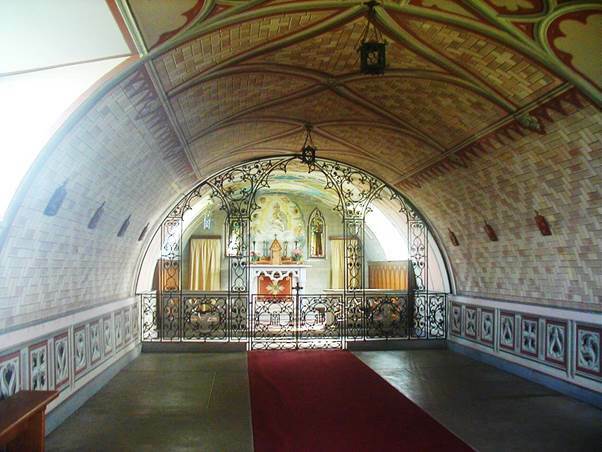 The chapel, built by Italians was, of course, for the Catholic tradition of the Christian faith. You expect it to be very ornate and in that sense it doesn’t disappoint. In truth, I thought the interior was stunningly beautiful. What an amazing piece of work from those Italian prisoners. And it is essentially two Nissan huts and whatever scrap the prisoners could find. I like the fact that the chapel now stands as a link of friendship. My photos date from August 2004. 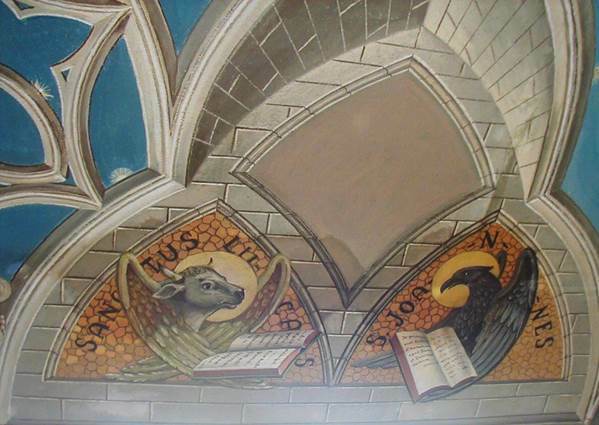 Alas – Smith and Jones. If there are two surnames that are going to make family history difficult, they are Smith and Jones. Both are very common names so sorting out just which ones belong in a family can be very tough. I had a granny who had Jones as a maiden name and today we are looking at one of her brothers, Stanley. Stanley was born in Hildenborough which is just outside Tonbridge in Kent. His father was Robert Jones, my great grandfather and his mother was Ada (née) Allman. Robert and Ada came from Cheshire and they hadn’t long moved to Kent when Stan was born. Ada died when Stan was just seven and his little sister, Lily was just four so we can imagine Robert had quite a hard time coping. The family ended up widely dispersed but Stanley stayed in and around Tonbridge. In 1936 he married Rosetta daisy (and you’ve guessed it) Smith. She was known as Rose. This couple had one son born in 1939. His full name was William Robert Jones, known as Bobby. 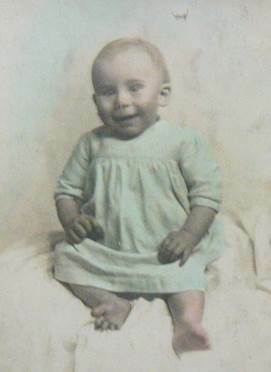 Sadly, Bobby died, aged just nine months old. Stan died in 1977 – a great uncle I never knew. 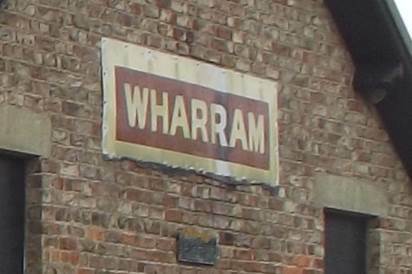 Well this one, Wharram Percy, isn’t strictly lost for we know where it is! Populations come and go, often for economic reasons. Back in medieval times Wharram Percy was, no doubt, a comfortable village to live in. But times change and where once there were houses and busy villagers, now there are cows and a few visitors. 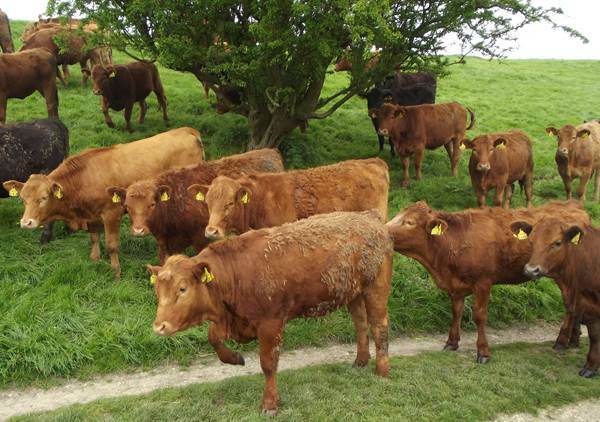 The cows are walking along the main road through Wharram Percy. Many of the houses were at the top of the slope where humps and bumps suggest the outlines of buildings. The archaeologists worked on the site for 40 years so it is well understood. 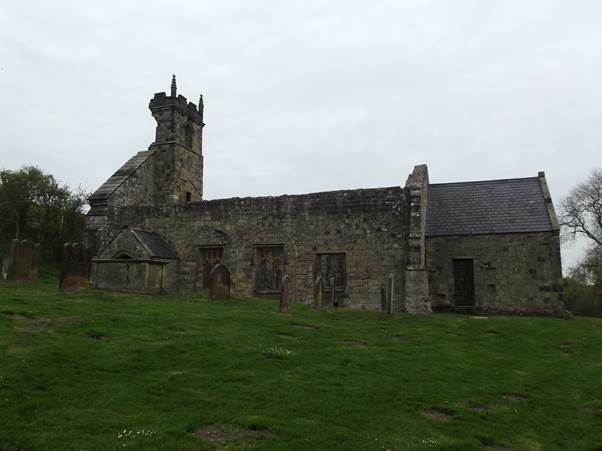 Wharram Percy is in Yorkshire a few miles south east of Malton/Norton. It is in the Wolds and really in quite an isolated spot. The last families left the village in around 1500 leaving a church to decay. Some farmworkers’ cottages were built in the 18th century. The ruins of the church still stand. The cottages have gained a sign from a nearby railway station which closed in the 1950s. Even after the demise of village and church, people requested to be buried. Here’s one of the graves. 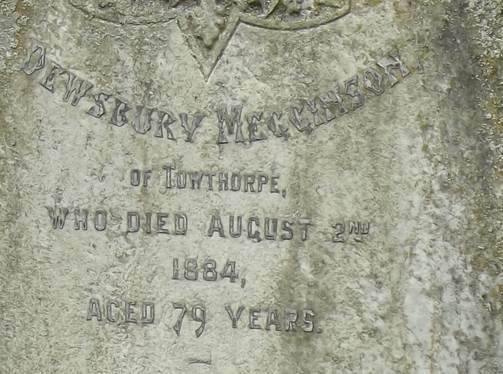 What more could you want for genealogy – a birth year, a death year and a name of Dewsbury Megginson. It’s so unusual a name and dead easy to find out more about him and his family. He was a farmer in quite a big way, in fact. 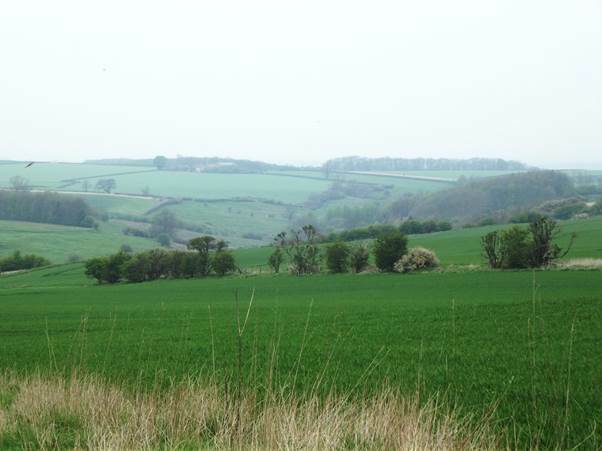 It’s a short walk from any road to Wharram Percy, but the lovely countryside makes it well worth it. Photos taken in April 2014. What could be more useless than a pair of padlocks with no keys? A friend of mine recovered these from a skip and gave them to me. 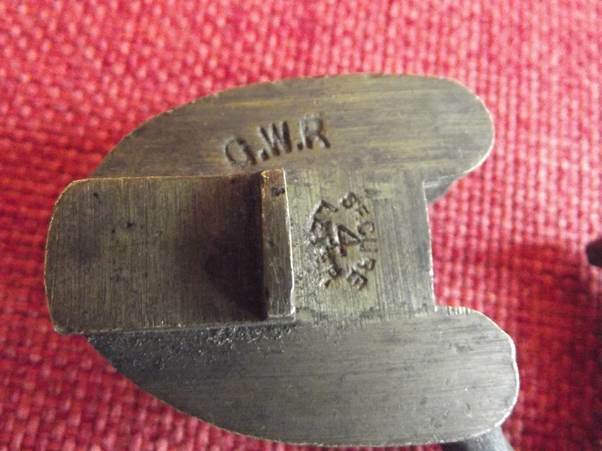 Sharp eyed folks might notice that they carry three magic letters – GWR. 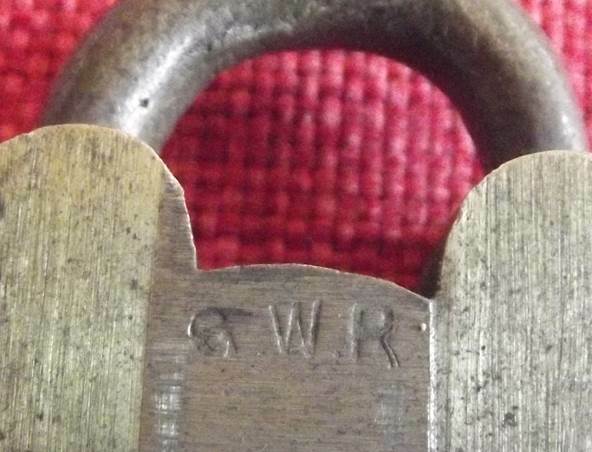 GWR stands for Great Western Railway, or according to your viewpoint, ‘God’s Wonderful Railway’ or ‘Great Way Round’. That last was a 19th century comment on routes to the west always being via Bristol. Let’s zoom in on those letters. We can see that the padlocks are well made in brass. 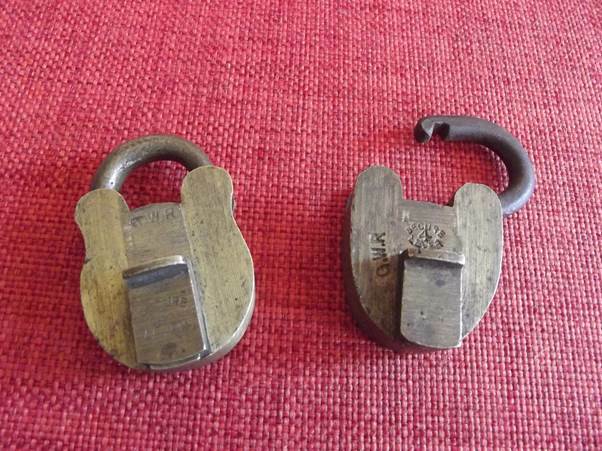 We don’t know the original purpose or date of these padlocks but they are quite small – overall about 6 by 3.5 cm. They could have been used to padlock leather cash bags. No doubt there were many other uses for these padlocks. And maybe someone out there can let me know what their function was and give me a rough idea of when they were made. Ancestrally speaking, I’m a Norman. A supposed ancestor of mine came over from France to England in 1066. His name was William and he became King of England by conquest. I won’t vouch for the certainty of this, for my ‘knowledge’ comes from the work of a long ago genealogist researching someone else’s ancestry. Nineteenth century genealogists seemed to think it was their duty to link their person back to royalty. I’m not sure they bothered so much with actual facts. Statistically, there’s a pretty good chance that a huge number of us descend from William the conqueror. Like all others, I have two parents, four grandparents, 8 great great grandparents etc. Go back 32 generations to William and I have 2 raised to the power of 32 ancestors. That’s 4294967296 or more than 4 billion of them. That’s roughly ten times as many ancestors as we think there were people in the world! Anyway, in my heart I am more Saxon and I always wished Harold had won the Battle of Hastings. And so he might have done had he and his men not been battle and travel weary after the Battle of Stamford Bridge. This battle, quite near York, was between our King Harold and Harald Hardrada, invading from Norway with the support of Tostig who was King Harold’s younger brother. 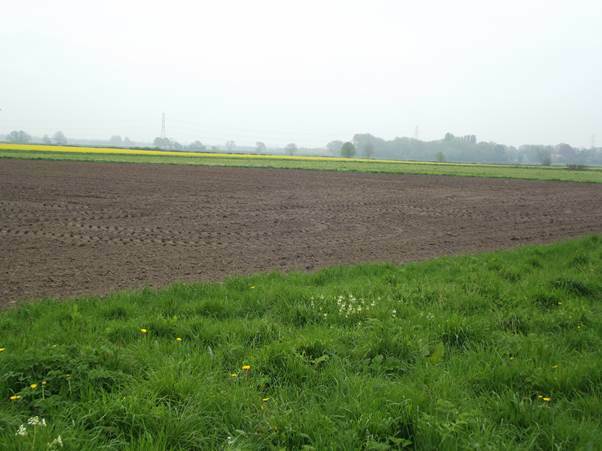 On a recent visit to Yorkshire we looked at the battle site, which, according to our map was here. Yes, like so many battle sites, it was just ordinary land on the edge of what is now the village of Stamford Bridge. The village commemorates the battle in a number of ways. One of them is with this planter, shaped like a ship. 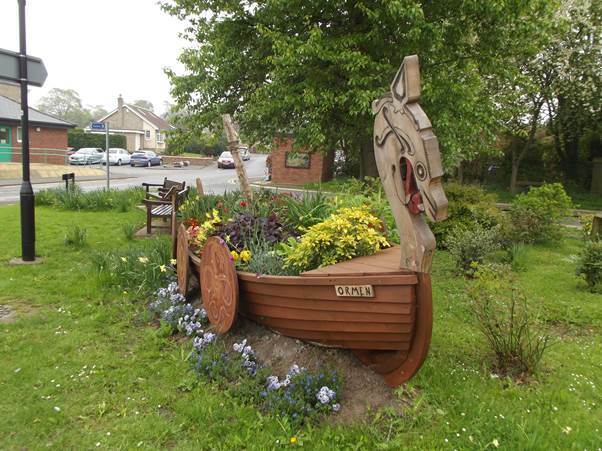 This models the ship of Harald Hardrada. Having defeated the invading Norwegians, King Harold and his men had to hurriedly march down to Sussex to face William and the Norman invaders. Tired and weary, they made tactical errors and William was able to gain the crown. 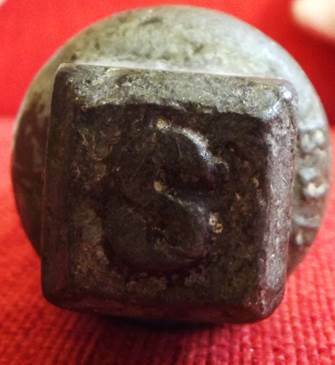 I recently visited the Watercress railway line and I noted a collection of sleeper bolts in a bit of a heap. It reminds me that I have one of these items at home and here it is. 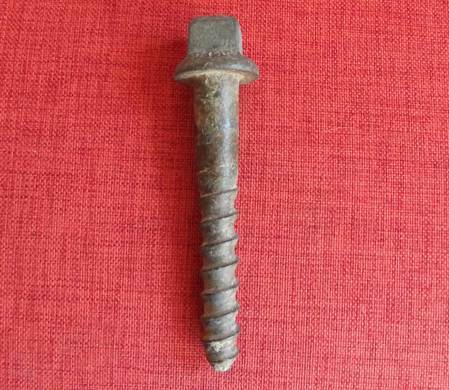 This is quite a hefty piece of metal work, about six inches long and I suppose, technically it is a screw rather than a bolt but to me they have always been sleeper bolts. And at one time there would have been about ten thousand of them on every mile of railway line. Their job was to hold the chair to the sleeper. Chairs then supported old bull head rail which was held in place with wedges. My bolt came from the Bluebell Railway. My dad and I were walking the old line south of Sheffield Park, not so long after closure and removal of the valuable metal work. 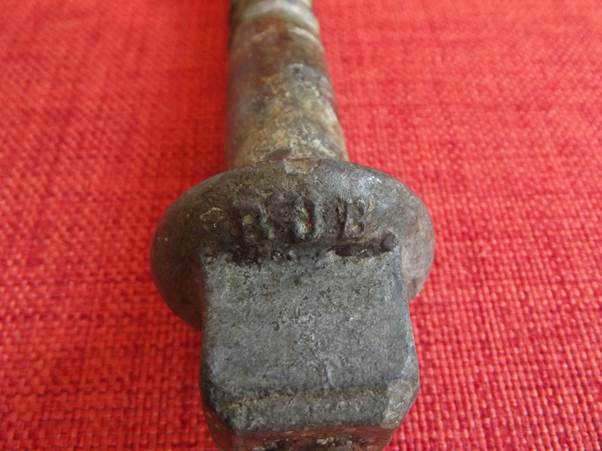 I came across this bolt which had obviously escaped the journey to the scrap yard. It has been in my possession for well over fifty years. The bolt has some lettering which I can’t quite make out – or at least I can’t attribute a meaning to it. Does that say BOB or BJB? And right on top of the bolt there is a large S.
There’s surely a super nerd out there who’ll know what the letters are for?? ?